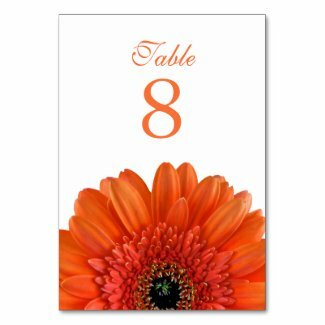 Gerbera Daisies are among the most popular flowers in the world. In the language of flowers they represent cheerfulness, which is easy to believe given their wide array of bright, vibrant colors. 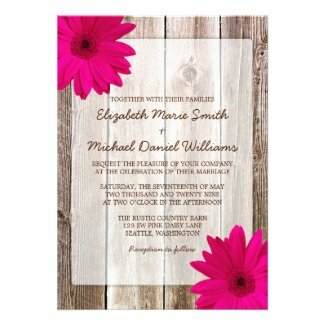 Choose from a wide array of pink, yellow, orange and purple gerbera daisy designs. 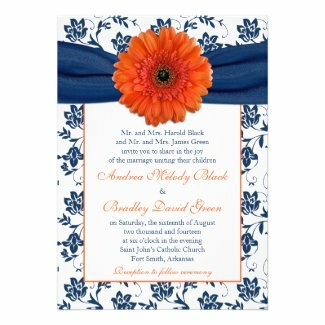 All designs are available in a wide variety of paper styles, sizes, and types. 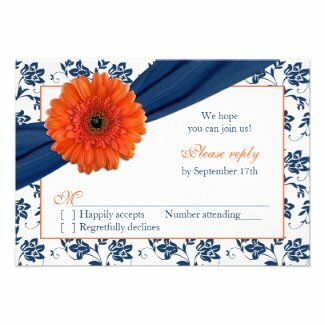 Choose scalloped edges on recycled paper, ticket style on recycled paper, square shapes on metallic paper, and many many other combinations. Click on a design to explore all the options. Don't forget to check our blog for the latest coupon code discount. 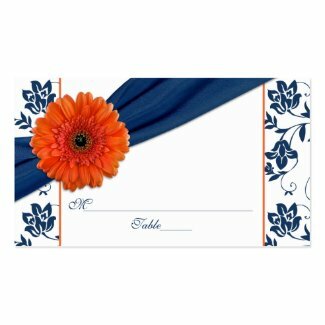 Also check out our Gerbera Daisy Postage Stamp pages. Navy blue is one of the most popular colors for summer weddings in 2014. Combined with the ever-popular gerbera daisy, this collection will make your day shine with a sophisticated and elegant look. See more of this collection on our home page, and the complete collection here. 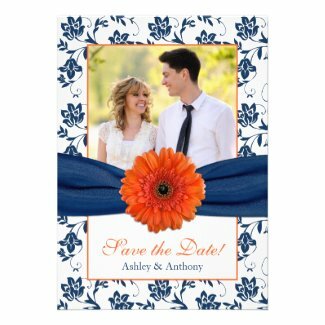 Some wedding invitations featured on these pages come with an extensive set of coordinating items, such as table cards, napkins, favors, and the like. 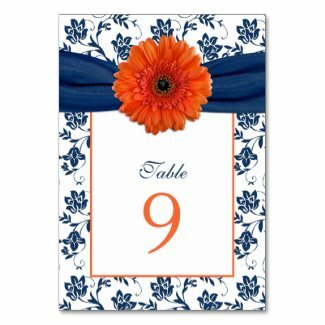 Here we feature a very pretty orange gerbera daisy set.